I can see clearly now… Well almost! In the summer of 1986 I served as a Chaplain on the cardiology floor (11th floor) of the Baptist Hospital, now called Wake Forest Baptist Medical Center. One of my responsibilities was to go room to room and check in on patients, see how they were doing, pray with them and their families and offer any other kind of spiritual counsel and support. I entered one room and saw the patient sitting upright in his bed as he was flanked by two gentlemen, who happened to be family members. Do you believe in miracles? Yes…!!! Do you remember where you were on February 22, 1980? With the backdrop of tensions at their zenith of the Cold War between the USA and the Soviet Union, the college age boys of the United States of America Olympic Men’s Hockey Team took on the tougher, stronger, bigger, older, professional and more experienced team of the USSR (Soviet Union) in a semi-final game, where the winner would advance to the Gold Medal game of the 1980 Winter Olympics held in Lake Placid, New York. 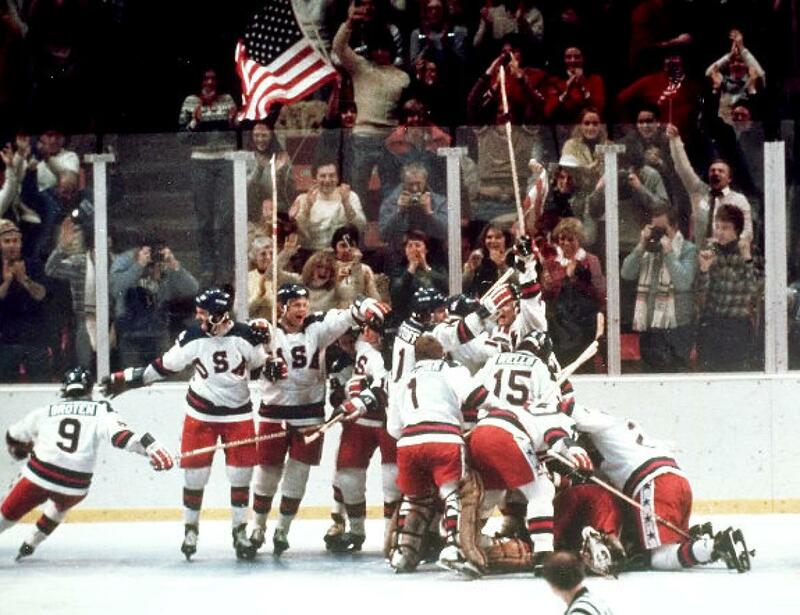 Not two weeks before the USSR had crushed and annihilated the USA in a pre-Olympic exhibition game. The odds of the USA team pulling out a win not only seemed improbable, it was going to be downright impossible. Do you believe in miracles???? YES!!! Do you know where you were on Sunday, October 25, 2015? My niece’s husband Joe was driving in the dark back to Virginia from Florida in his jeep alone with their sixteen month old daughter Scarlett in the car seat on I-95 when all of a sudden a deer darted out onto the interstate. Joe struck the deer head on and in the process the jeep ran off the road and began to flip multiple times down into a ravine. Joe suffered two collapsed lungs and is currently in ICU recovering. Please pray for him. Scarlett, while strapped into her car seat was ejected from the jeep. It wasn’t until the morning sun rose and shined light on this precious little cargo did someone finally see Scarlett and thus found Joe down in the ravine unconscious. Evidently, Scarlett landed on some fire ants and got bitten quite a bit, but other than that, she is smiling, laughing, eating and doing just fine. Do you believe in Miracles? YES!!! !